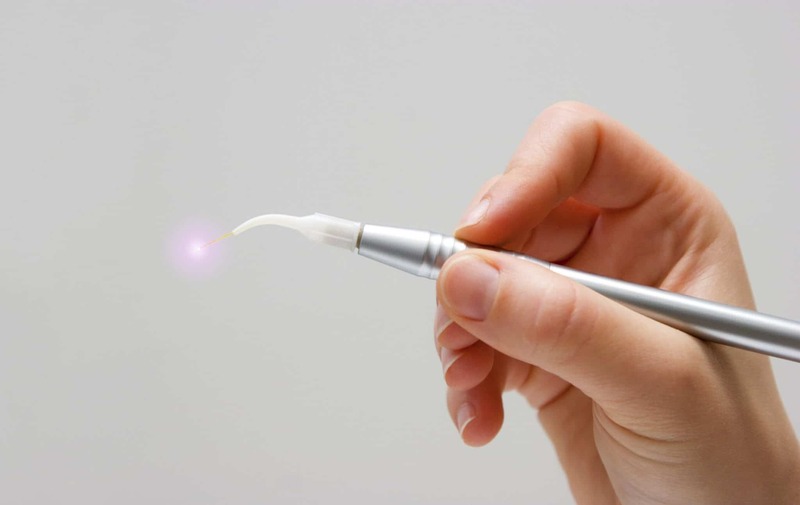 For people born before a certain time, lasers always seem like something vaguely futuristic, but using lasers in something as useful and important as dental surgery has actually been approved for twenty-five years. Lasers have been a revolutionary tool in the progression of minimally invasive surgery, assisting medical professionals in a variety of disciplines to help their patients with less pain and faster recovery time than traditional surgical methods. Laser dentistry is very accurate, ensuring less accidental damage to surrounding tissue, and provide quicker recovery time. Pain is far less than with traditional methods, and because lasers sterilize the area affected, they also reduce the chance of infection significantly. If you have gum disease that requires surgery, then the minimally invasive techniques offered by laser dentistry may be your best bet. If you think laser dentistry might be right for you, or you want to get any other dental issue assessed or treated, contact our team at Pickering Square Dental today. « Are All Mouthwashes Equal?